Martin Gould says a more selective approach to the tour has played a big part in his improvement this season. 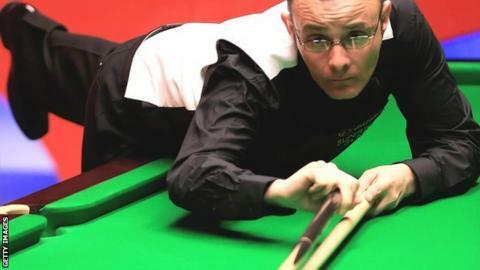 The world number 27 begins his UK Championship challenge against Lee Page in York on Wednesday. And having reached the final of the Bulgarian Open last month, and secured a first ranking semi-final appearance at the Wuxi Classic earlier in the season, Gould is in confident mood. "I am not practising as much and am picking my events," he told BBC Sport. "I am getting in the right amount of practice, but I have been playing a bit of golf, relaxing more and generally making sure I am ready for the tournaments when they come around." The 33-year-old west Londoner's play seems to have benefited, with an impressive run to the final in Sofia last month. Only an in-form Shaun Murphy stopped him from winning the title, but Gould is happy with his form as he prepares to face Page, currently ranked 102, at the Barbican Centre. "I feel in a good place," he said. "I played really well in Bulgaria. I know my game a lot better these days. You can tinker too much. "You have to feel positive and I do. If you have negative thoughts you will get found out. "Last season I was losing lots of close matches and it does affect you."